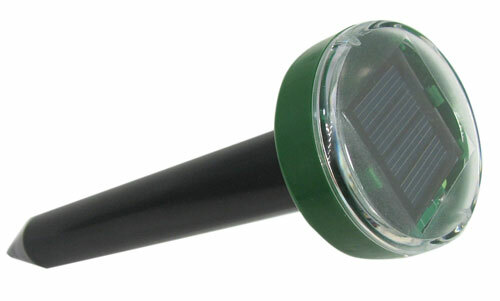 This solar-cell, sonic Rodent Repeller™ has a 2-1/2" dia x 15/16" head with a solar cell that charges a "AAA" battery. 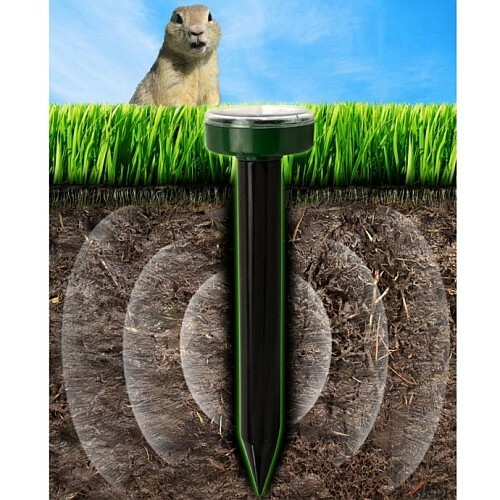 Emits a 400Hz square wave that the manufacturer claims will vex gophers, moles, shrews and voles, which are similar to field mice in this country. 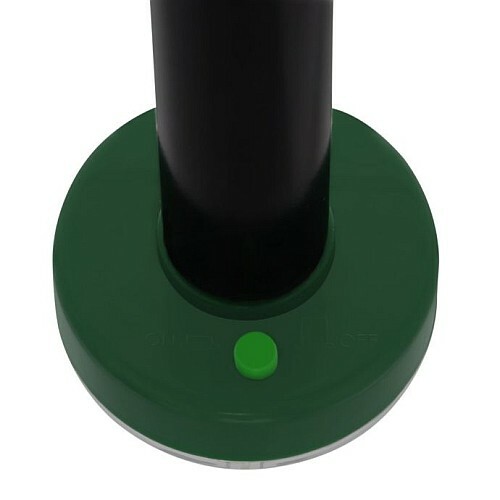 The whole shebang is mounted to a 9" plastic stake which, when pounded into the lawn, is water- and lawnmower-proof with a sealed main power switch. Looks like a cheap kid-sized tennis racket, but brother, this ain't for the kids. It's actually a fine way for adults to work on their upper-body strength and kill bugs at the same time. 18" long, with a 6" wide paddle lined with metal grid. 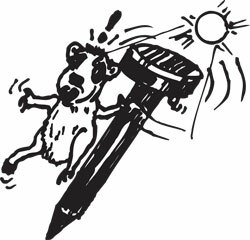 A coil in the handle sends high voltage through the paddle when a button is pushed, hit a bug with it and the bug will bug you no more. We've seen these in other catalogs for about twice the price, so buy it from us. 2 AA batteries, not included. 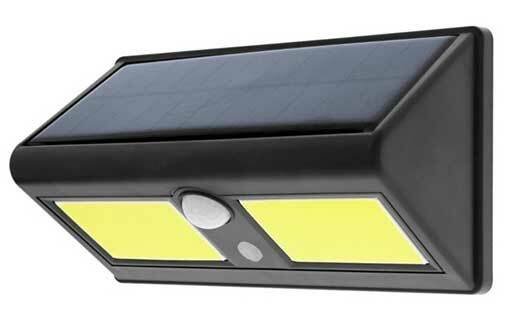 This solar-powered night beam will see you coming and light up, which is more than you can say for the people you work with. 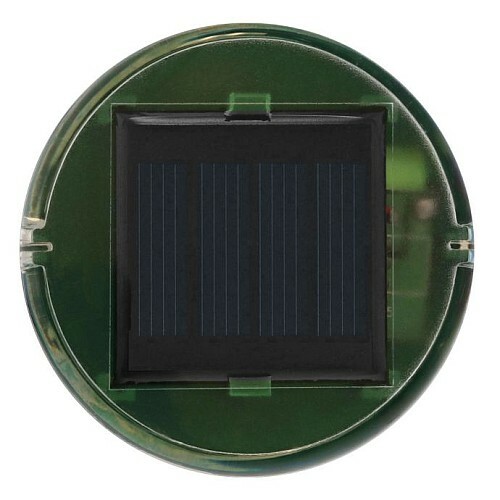 The rechargeable floodlight works via a pair of Lithium-ion batteries attached to a solar panel, and shines via a pair of 3-1/4” light rated for 750 lumens at high power. Light and motion sensitive at 15 feet. Full-on and standby modes with low power until triggered. 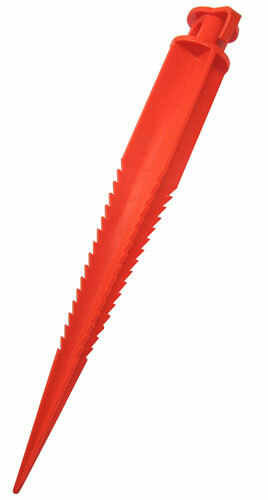 Profile is an approx 4” triangle x 8-1/4” long, and it comes with mounting screws and mollies. Grow a beautiful garden full of plants that love your soil! 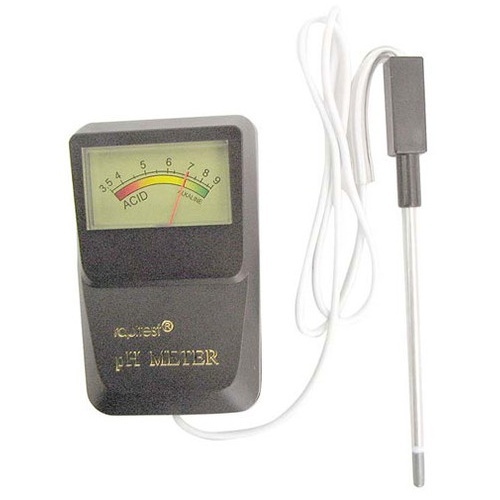 It's easy if you know your soil's pH, and we have a gauge to help you! Stick the probe into moist soil for the pH to register in a separate 4" x 2" x 1" gauge box on the end of a 26 inch cord. That lets you read the gauge without having to lay on the bug and worm covered ground to see it! 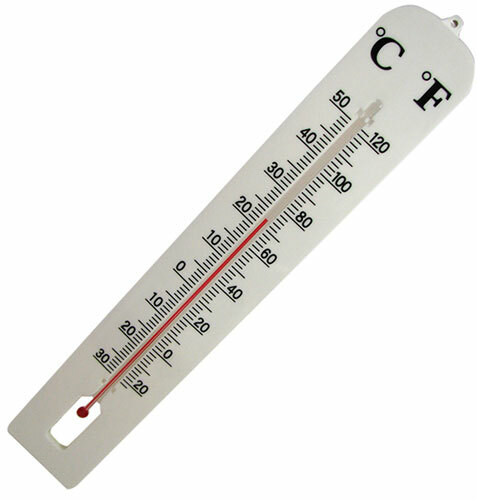 A needle indicates the pH on a scale of 3.5-9, and you get a list of which plants like which pH levels. 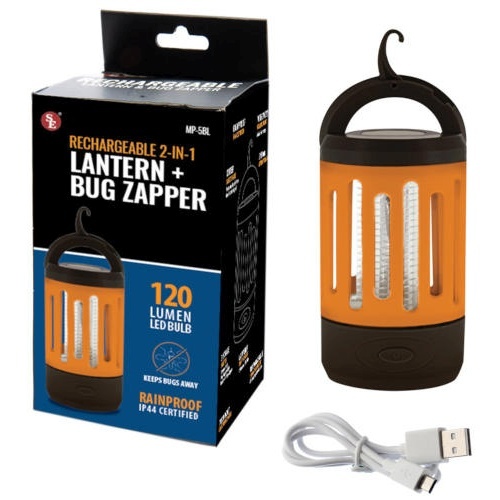 This handy little gray plastic bug zapper, shaped like a lantern, is powered by an internal battery that's rechargeable via a USB charging cable. Stands 11-1/2" tall x 6" wide x 1/2" thick and will stand on a 2-1/4" wide base or hang from a 3/16" loop on the top. 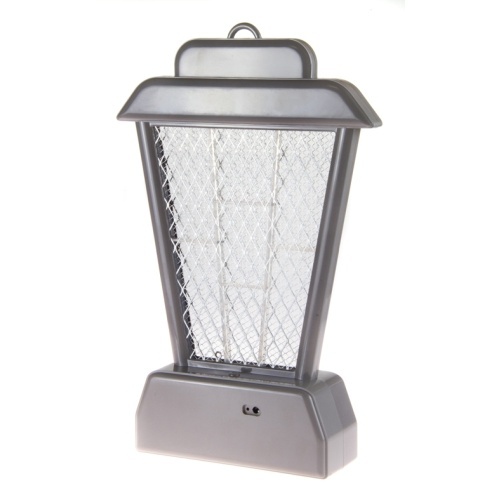 Has (4) insect attracting UV LEDs above the deadly lattice-work center. Not so little, actually, this lantern. In matte-finish white plastic, it stands 13” tall x 7” across and has a flickering-flame 25-lumen LED for you fans of verisimilitude. Kind of Paul Revere-looking, if you ask us. Has a slide switch and folding hanger, but will also stand on its base. Weather-resistant and the (3) “AAA” batteries are included. 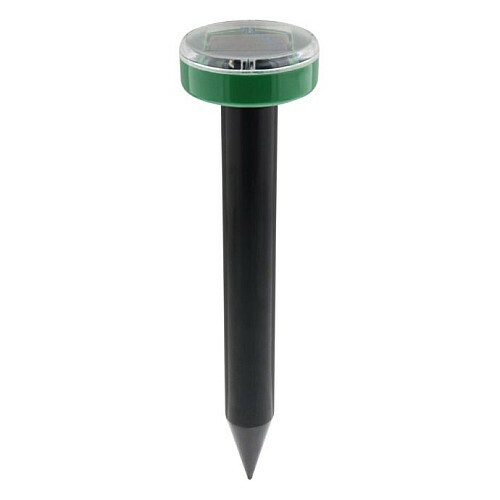 Get one before the flood-a 10" tall clear plastic rain gauge to hang on a wall (with 1/4" mounting holes, you supply the screws) or stick in the lawn on its stake-like bottom. Graduated up to 5" of rain in 0.1" increments, or 123mm in 2mm increments. 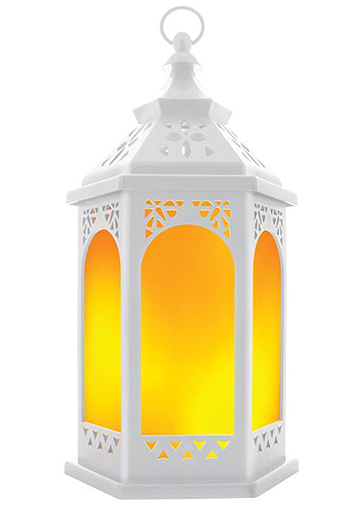 Looks like a mini version of an old street lamp, but it's solar powered with rechargeable batteries, and it makes a lovely accent light in the garden. 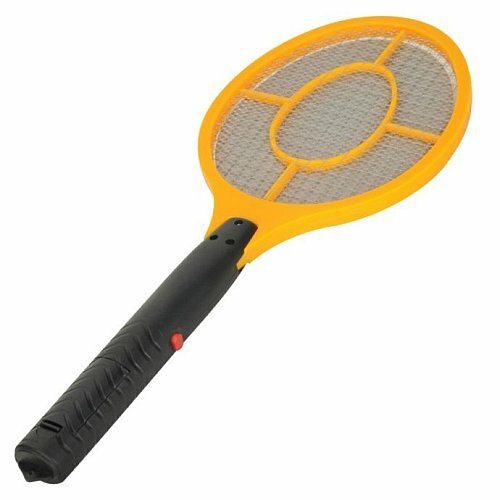 It's also a killing machine, using that solar power to zap the bugs that are heading for your neck. Measures 6" across x 8" tall (14" tall mounted) in black plastic and can be hung or mounted on the included 3-piece stake. Like To Play For Big Stakes? Really big stake. Circus tent size, or serious tree tie-down. Measure 20" long in heavy duty orange plastic with vicious cross-barbs and a 2-3/8” dia x 1-1/2” head with a side clip and 1” bore for thick ropes. Stand it on its head and it looks like a Romulon model holiday tree. Also good for driving through the heart of a plastic vampire.